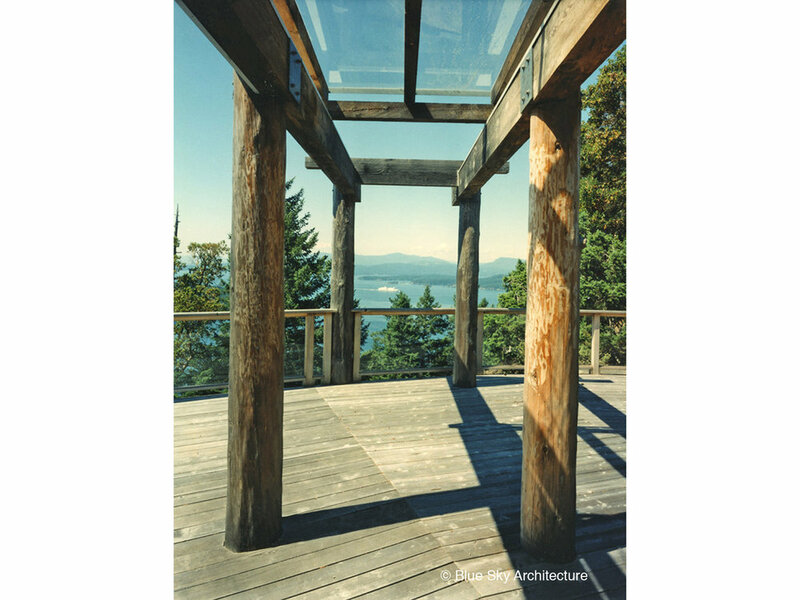 This Coast Salish inspired Residential design encircles the top of a hill high above Navy Channel with stunning ocean views to the south, east, and west, and cool forest views to the north. The clients had a desire for a holiday and retirement home and an image of a limpet shell; both are scuba divers and were intrigued with the shell’s image. This metaphor is extended further with the West Coast Indian ‘Salish Hat’ for shelter. The crest of the hill and the metaphor of the hat suggested a radial plan. This plan was interpreted and organized with an arcade, focusing on a surprise distant view. The arcade cuts through the radial geometry, forming a complexity in section and organizing the plan into three pavilions for living, guest, and studio wings. 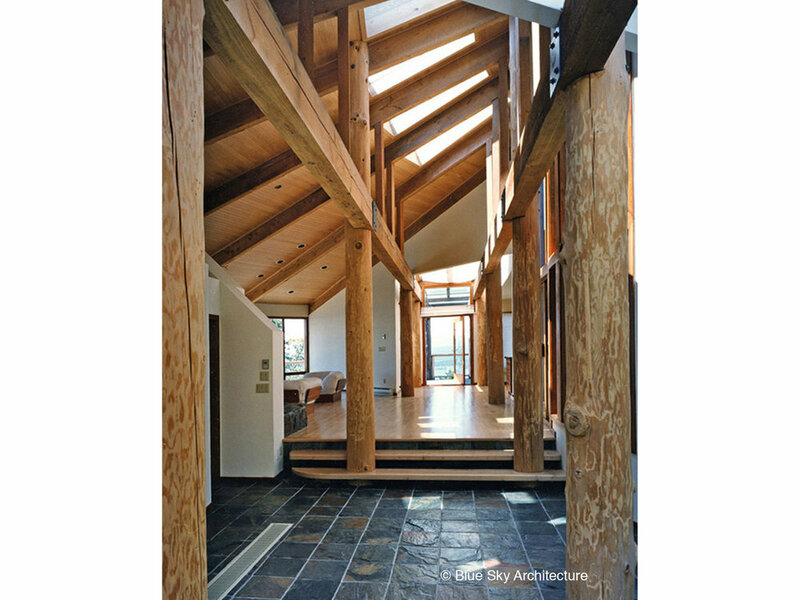 This is the first house where Blue Sky Architecture explored a post and beam structure with the use of uprights rising from the main beams, connecting to rafters to create a more varied roof form.